This past weekend was a phenomenal time to be a faux New York sports fan. Although I walked into a Manhattan Super Bowl party wearing a newly gifted Falcons shirt, my verbal allegiances throughout the game became more and more aligned with the Giants. As it progressed, I joined in with many a Giants chant, and when it ended and “We Are the Champions” blared out the sound system, I embraced the lady across from me and sang my heart out. While New York was a beautiful sight last night, Part 1 of this city’s amazing sports weekend took place in Madison Square Garden on Saturday, when the Knicks played host to the New Jersey Nets. While there is usually nothing of worth to note from either of these teams, this night was one Knicks fans could be talking about for a long time. 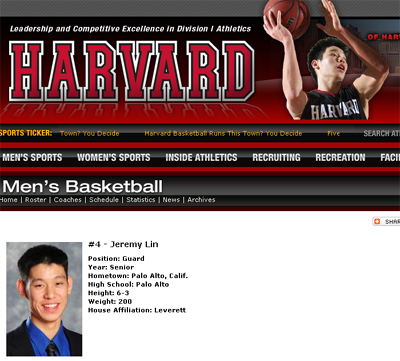 Enter: Jeremy Lin, the safety-school educated, second-year backup point guard for the New York Knicks. In the finest game of his short career, he easily won over the crowd with an array of alley-oop passes, finger rolls to the basket, and clutch jump shots in the closing minutes. He ended the game with 25 points, five rebounds, seven assists, and only one turnover — while also leading the Knicks to a win. Winning over the crowd and the respect of your teammates is surely a feat in itself, but they both pale in comparison to this: Lin made a believer out of Knicks Hall of Famer turned current color commentator, the “Naismith Wordsmith” himself, Walt “Clyde” Frazier. 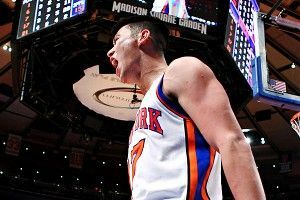 While known far and wide for his legendary lexicon, Saturday’s Jeremy Lin Show became one of his finest hours. Clyde starts off hot, cools down a bit in the middle, and then — once it becomes apparent that this could turn into a important performance by Lin — Clyde hit R1 and exploded into hyperturbo mode in a way laypeople would need a cheat code to achieve. Congrats, Jeremy. Not only did you have your coming-out party in one of the biggest stages, but each of your splendiferous displays of athleticism were blessed by Clyde’s luxurious command of the English vernacular.